RS! The badge holds high regard in any car enthusiast's heart. While different foreign manufacturers did bring in their versions - Octavia, Laura and Avant, there weren't any Indian companies joining the fray. Maruti was supposed to get in the Swift RS, but what we got instead was the limited edition cosmetic-only trim in 2015. Then the Ciaz with a similar body kit showed up. 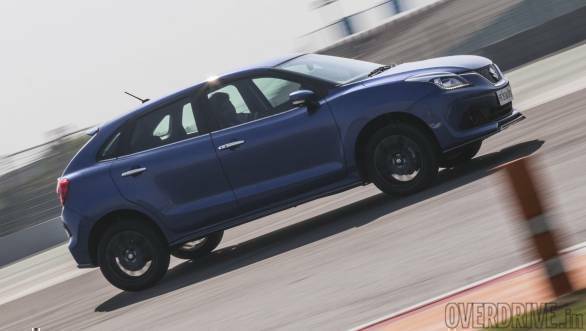 But now, the company has a proper RS trim in the Baleno and we were invited to the BIC to drive it. The cars at the BIC were already warmed up for us by the good folk at Maruti. First impressions suggest that NVH levels are excellent for a 3-cylinder engine, so much that you will not believe it's one cylinder less than the regular 1.2l petrol. This 998cc fixed geometry turbo-petrol is an all-new motor and makes 102PS/150Nm. If you remember, the car showcased at the expo had a rumoured 110PS/170Nm. These specifications were same as the international-spec (Boosterjet-engined) trims. However, these models require 91 RON fuel and our country at the moment isn't equipped for the same. Speaking of which, this engine is an import from Suzuki's Japan plant and adds to about 60kg to the Baleno's overall weight (950kg). This also adds to the cost of the car. On to the drive experience then. The motor builds up speed rapidly and is a high-revving unit. We like the way it has minimal turbo lag even with an FGT. For the sake of photographs, we had to drive the car at 40kmph and it was happy doing it at third gear. 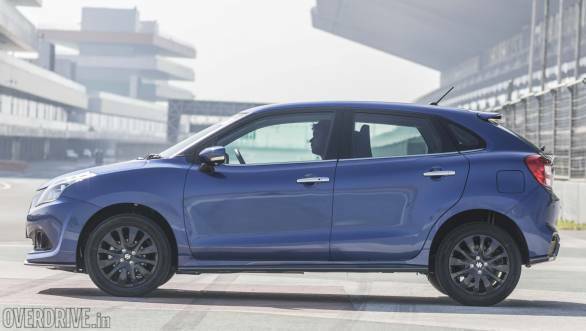 There is no sudden spike in the power delivery, and the linear approach adopted by Maruti will align with the family car appeal of the Baleno. 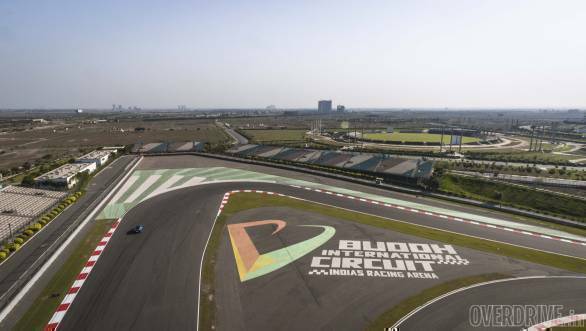 On the straight at BIC, we saw 160kmph in fourth gear, with the tachometer needle nudging the 6,200rpm redline, before we had to brake for the corner. However, we wish the motor sounded a tad more sporty at those speeds. Maruti also haven't quoted any claimed 0-100kmph numbers, but the company did stress on the claimed fuel efficiency of 21.1kmpl. 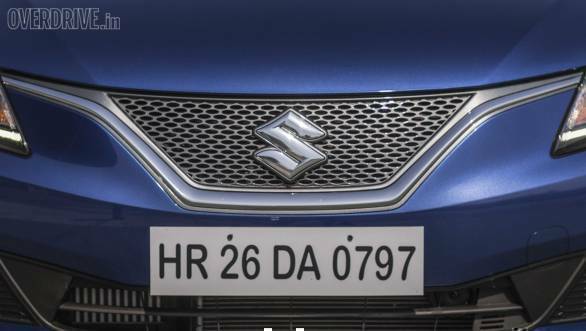 Maruti says that they have stiffened the shocks at the front to accommodate the extra weight of the engine. This shows in the way the car handles. It has a bit more nose dive than its naturally aspirated cousin. However, the car still handles predictably. 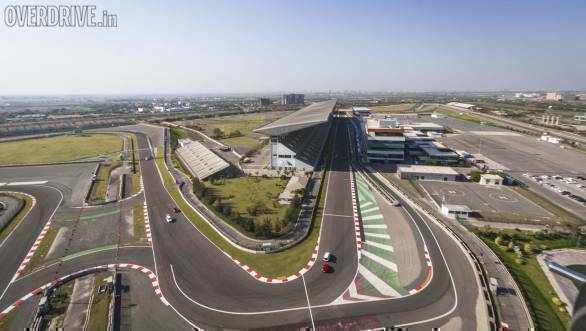 The steering wheel also lets you know how much effort has to be put to make that corner, and the effort doesn't vary every time you take the same corner at the same speed. That being said, the steering, like all Maruti units, feels a bit heavy at low speeds. While we didn't have a chance to check the ride quality of the RS, expect it to retain the slightly firm ride quality that the car is known for. 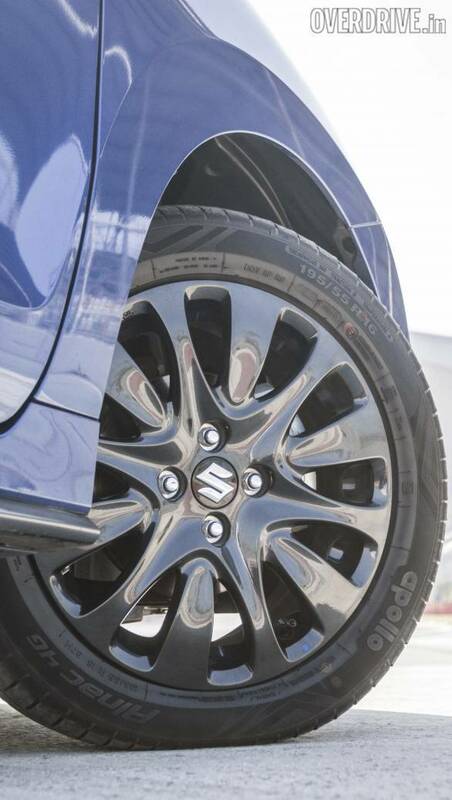 Given the extra boost in power, the car comes with disc brakes on all four wheels. The brakes are nice to modulate and offer lots of feedback. In short, they will stop the car where you want it to. Safety wise, twin airbags, ABS with EBD are standard. 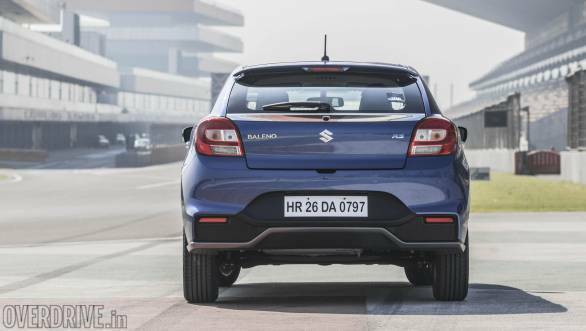 The Baleno RS is also compliant with front offset, side impact and pedestrian safety crash tests. Maruti officials confirmed that the bonnet absorbs much of the crash impact, instead of passing it on to the pedestrian it has collided with. 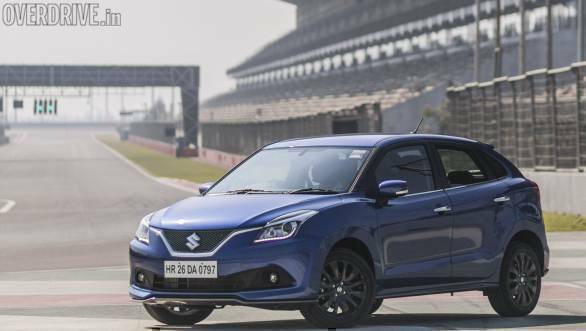 Maruti distinguishes the RS from its stablemate by using new sporty bumpers at the front and rear, chrome grille, side skirts, black alloys and an integrated spoiler. Of course, there is an RS badge at the back too. 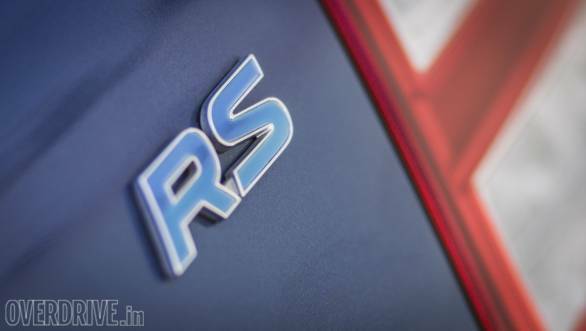 Unlike the GT TSI, the RS can be easily recognised as the more premium variant. The cabin could do with slightly more distinguishing features. 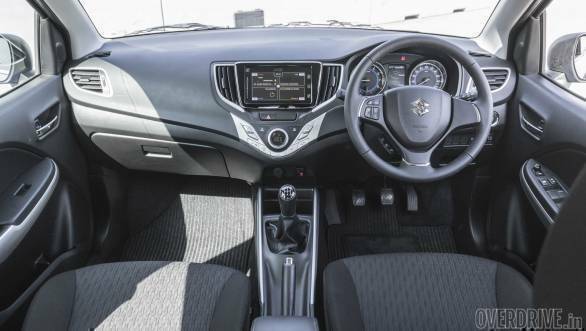 There is no change to the SmartPlay infotainment system or even the all-black upholstery. 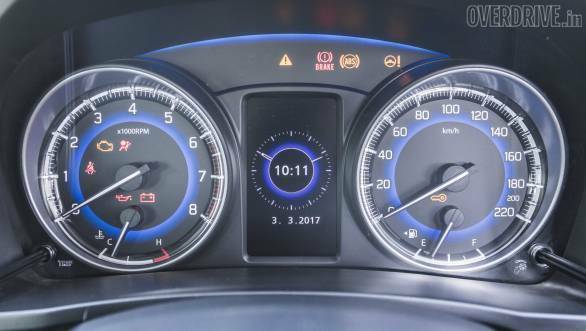 Although, we particularly like the different menus that the multi-information display showcases, including available power and torque graphs. 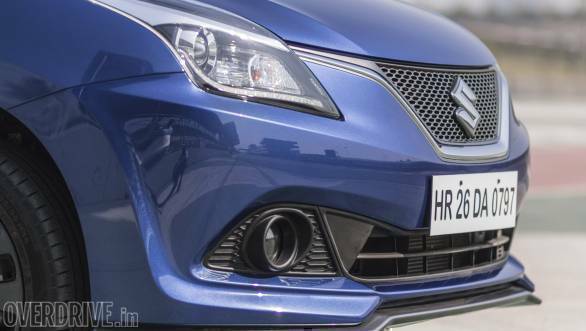 The RS badge gives the Baleno brand a shot in the arm. Not that it needed it, with a seven-month waiting period and all. However, it debuts Maruti's first-ever turbo-petrol engine and will be a brand builder for future performance vehicles. 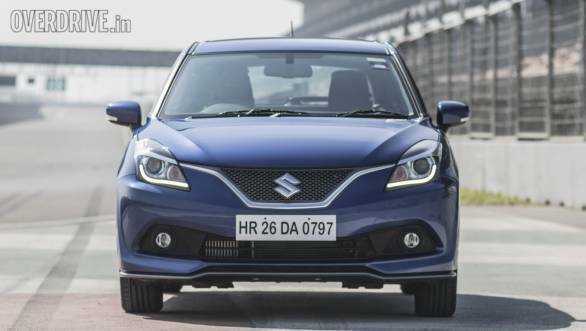 In the sense, the Baleno is a nice and sporty family hatchback. It has the looks, interior space, efficient and punchy motor, and the Maruti reliability. However, paying almost Rs 1.5 lakh over the regular 1.2l and without much improvement in the perceived performance of the vehicle is an overkill. 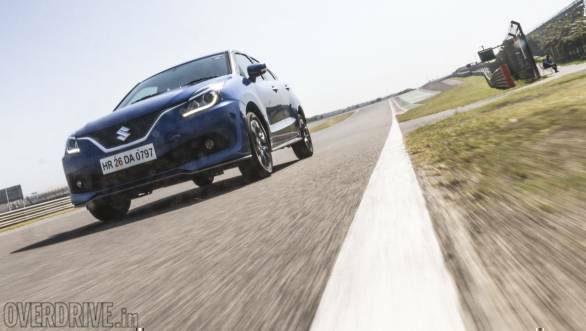 However at Rs 8.69 lakh, ex-Delhi, the Baleno RS sits bang among the few performance hatchbacks (100PS+) we have in the country. Oh! before we forget, RS stands for Road Sport. 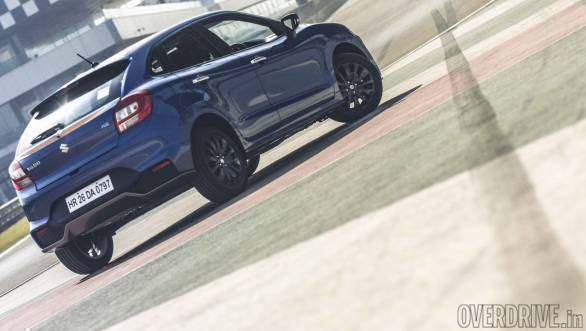 Also read our Baleno RS Spec Comparison right here!